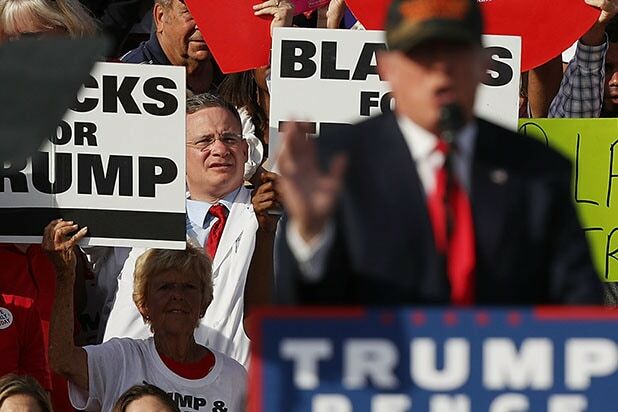 A white woman was seen holding up a "Blacks for Trump" sign behind the candidate at a rally in Sanford, Florida, on Oct. 25. 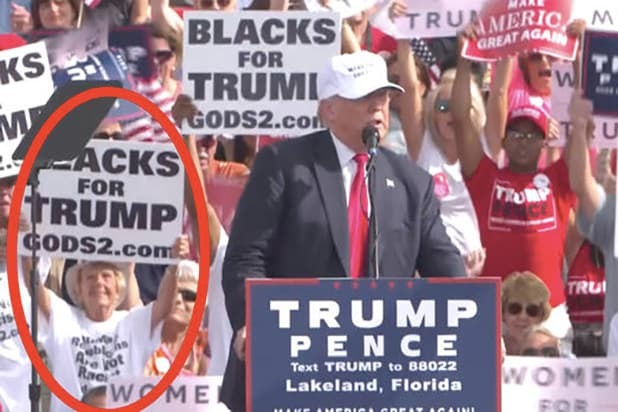 CBS News caught a different woman holding up the same sign at a rally in Lakeland, Florida, on Oct. 12. After the first photo went viral, CNN reporter Chris Moody shared a pic from a Nevada rally featuring yet another white woman with the sign, saying it "happens often." 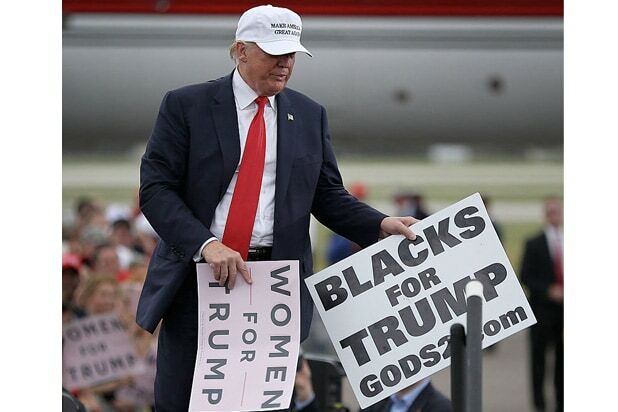 Twitter users also dug up an older image in early October of a white Trump supporter holding up the sign during a televised speech. Twitter also mocked the GOP with a photo of the Durham County Black Republican Committee tent at a Trump event featuring exactly no black people.